The Smoant Charon TS Touch Screen TC MOD is powered by dual 18650 batteries(not included), with 218W max output power. 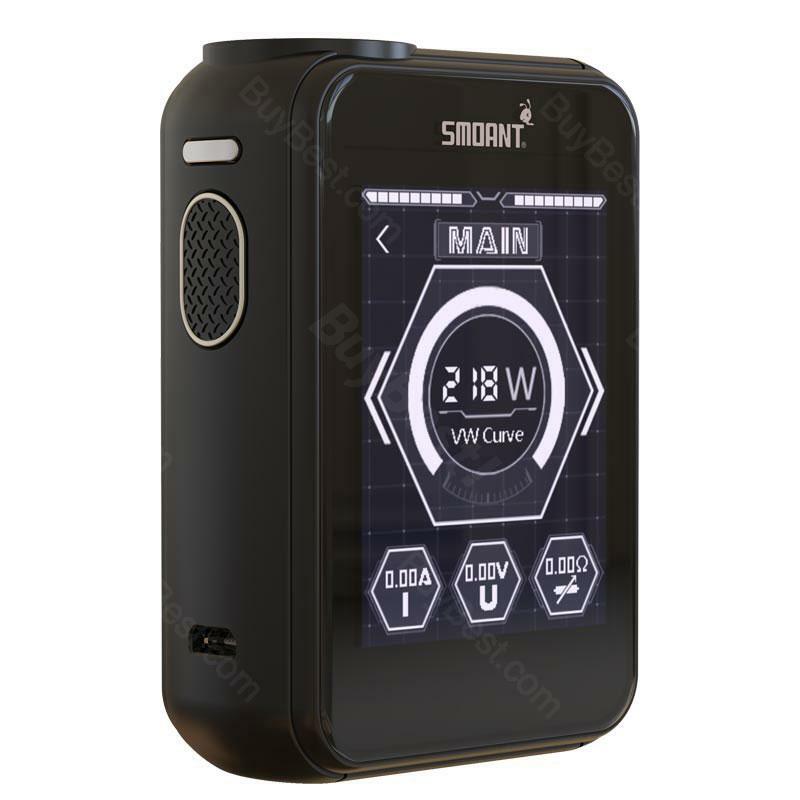 The Smoant Charon TS MOD is massive 2.4-inch TFT touch screen, and the mod supports VW(Min/Norm/Hard/Max/VW curve) and TC (Ni/Ti/SS/TCR/TC curve) modes. Available in Black, Camo, Dark Blue, Rainbow, SS and Wood Grain colors. The Smoant Charon TS Touch Screen TC MOD is powered by dual 18650 batteries, which are not included and you need to purchase separately. The Smoant Charon TS MOD is massive 2.4-inch TFT/CTP touch screen of 510 thread, which gives you an amazing visual and tactile enjoyment, and the max output power is 218W of ANT 218s Chip. The Smoant Charon TS Touch Screen TC MOD supports VW(Min/Norm/Hard/Max/VW curve) and TC (Ni/Ti/SS/TCR/TC curve) modes. Available in Black, Camo, Dark Blue, Rainbow, SS and Wood Grain colors. • It doesn't come with 18650 Battery, you need to buy it separately. The screen displays is very bright and it is one of the best TC mods. Great response for touch screen and not too much going on as far as menus. Has what it needs and is very easy to find. The lock for firing and screen are both set up perfect. Works perfectly. It is a very nice device and super in the hand top. This Smoant Charon TS Touch Screen TC MOD will be the best choice if you like a solid feeling mod with some weight. Just like any other high end devise out there. The Smoant Charon TS Touch Screen TC MOD is nice to have and great to show off lol.